Now if you are an iOS device owner praying to switch to Verizon, I may have some bad news for you. Obviously nothing is set in stone and this is only my opinion, but let me paint you a picture of why Verizon won’t be getting the iPhone. Sometime in the future the Google Sales guy and Verizon sales guy talk about a free OS they can put on phones, but I’ll get onto that later. Who controls who? Normally you’d think that the carrier has the control. But in the weird Apple bubble, Apple dictates to AT&T how things are gonna be going down. Look at the iPhone. It is devoid of any markings that it’s an AT&T device. It’s not called the AT&T iPhone. 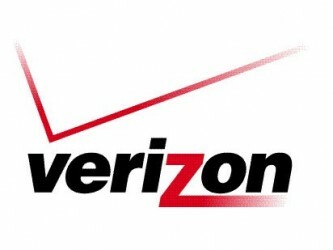 Like-wise Apple would never let Verizon call it the “Verizon iPhone”. But in the US, many of the complaints when the iPhone fails are not attributed to the device, they are placed on to the service provider: AT&T. Which has led to many people beseeching Apple to provide a Verizon version. There is obviously one big thing like a contract until 2012 that prevents Apple from selling the iPhone with other US carriers. The rumored CDMA iPhone is slated for a January 2011 release which is a full year ahead of when the contract is supposed to expire, but perhaps the contract was signed earlier than 2007? Who knows, the only thing that is certain is the AT&T has a 5 year exclusivity contract with the iPhone and the original came out in 2007. Apple doesn’t get told what to do. Apple tells everybody else what to do. And if Apple wants to get on Verizon, Verizon has a list of demands. So for me, I don’t see this rumored CDMA iPhone coming to Verizon anytime soon. The only other US CDMA company that is looking to grow it’s user base and is willing to agree to all of Apple’s terms is… Sprint.